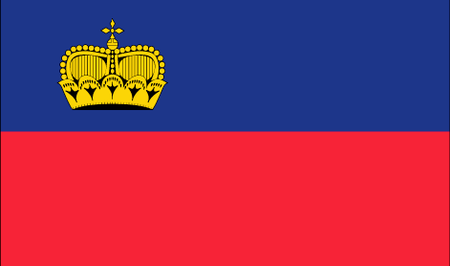 Liechtenstein is a tiny monarchy located in the center of Europe bordering Austria and Switzerland; it emerged as an independent principality in the early eighteenth century, and has managed to steer clear of most of Europe's major conflicts ever since. The country's economy is centered on banking and finance; indeed, its laws are so favorable business that there are actually more companies registered in Liechtenstein than there are citizens of the country. As might be expected, the small population (less than 40,000) enjoys a very high standard of living. Liechtenstein is a mountainous place that caters to winter sports, having won a disproportionately high number of medals in the Winter Olympics over the years and produced such renowned skiers as Marco Buechel and Tina Weirather. Real estate is of course at a premium, so the country's golfers, including the members of its national team, are forced to travel a little less than 10 miles from the capital city of Vaduz into neighboring Switzerland to play the course at Golf Club Gams. Recently, however, a driving range has opened in Schaan, and Liechtenstein now stages the Alpine Open, an open tournament in Malbun, that plays through the largely untouched mountain meadows where the fairways, greens and rough are all pretty much the same.